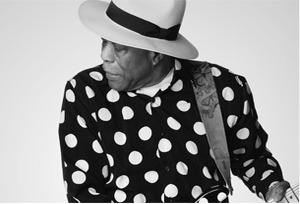 George "Buddy" Guy talented guitarist and singer, credited with influencing other musician greats like Jimi Hendrix, Jimmy Page, and Stevie Ray Vaughan, plays at Hard Rock Live in Hollywood this October. In the 1960s Guy played with Muddy Waters and harmonica player Junior Wells and his well-known songs include, Mustang Sally, Feels Like Rain, and Damn Right, I've Got the Blues. At 79 years old, Guy is counted as one of the greatest guitarists of all-time. The concert is Thursday, October 15th 8:00 PM. Get your tickets now.